TYPEWRITERS may well have gone the way of the dinosaur. However, With Great Truth and Regard ai??i?? The Story of the Typewriter in India, lets you reminisce these machines over a cup of chai alongside your favourite video on Chromecast. 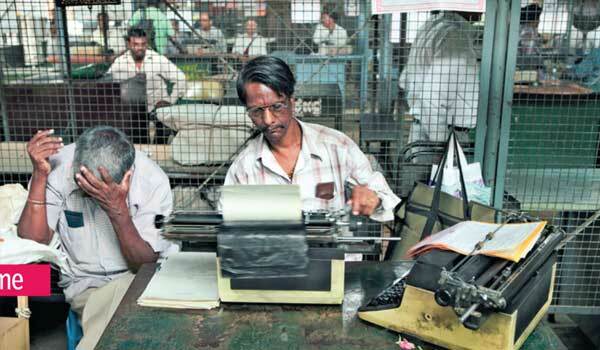 The new book by the Mumbai-based photographer Chirodeep Chaudhuri, captures the nostalgia of typewriters in visual stories of typists and stenographers from Bengaluru to Srinagar. Itai??i? ?s time to ring that return lever. Jerry Pinto (the journalist-writer) and I are working at the Peopleai??i? ?s Free Reading Room & Library in Mumbai. I am photographing the century-old libraryai??i? ?s collection of 36,000 books, which sits gathering dust, slowly eaten away by silverfish. This will be shown at gallery Project 88, Mumbai, in March 2017, as part of the Focus Photography Festival 2017. I am also completing another work, which I began in 1996, on Mumbaiai??i? ?s public clocks. We are in talks for a book in early 2017. How difficult is it for photographers to find projects for shows, books perhaps, and making a living? It is a struggle. Making a living is tough. 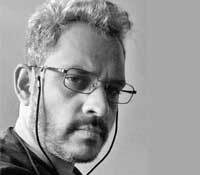 I teach journalism at Sophia Polytechnic, Mumbai, and often speak to young photographers in other colleges. It breaks my heart when I think that, in a few months, these hopefuls will be out in a market that is saturated, where oneai??i? ?s skills are valued very little. I always try to impress upon the importance of the idea. It doesnai??i? ?t help to simply produce good images. The idea is paramount. These ideas must originate from a unique understanding of our milieu. Itai??i? ?s important to engage deeper and go beyond photography. As an Indian, I donai??i? ?t find Varanasi extraordinary. In many Order tadalis ways it is rather commonplace. The need to tell an Indian history seems paramount. How full of contradictions is the idea of deriving an urban Indian identity?Ai? ?How full of contradictions is the idea of deriving an urban Indian identity? Photography is a way for me to engage with subjects that interest me ai??i?? for instance, history, architecture, cities, comics, books, publication design, the films of Akira Kurosawa and Satyajit Ray, silent films, typography, illustrations and printing. Iai??i? ?m drawn to old, forgotten things, things with history. Iai??i? ?m also interested in technology ai??i?? not the science, but its social aspects. As in, how society is moulded by technology, and how things adapt around it. The prospect of typewriters as machines for outdoor workplaces must have made for interesting street settings. I have always been a photographer of the streets. The unpredictable possibilities make things interesting ai??i?? hearing a story, an anecdote, an insight. On the streets, itai??i? ?s not just the eye that delights you, but also your ears. I hung out with job typists in many cities ai??i?? hearing their jokes, facing the brunt of their frustrations, and their variety of street wisdom. One grouchy Bengali typist accosted me in Kolkata, asking, ai???Whatai??i? ?s the use of your book? Will it get me some work?ai??? In many cases, there was a degree of scepticism. At the Tis Hazari Court, New Delhi, there was a mix of North Indian aggression and a sense of sleaze that hung in the air. On the other hand, the guys at the City Civil Court, Bengaluru, were a friendly and talkative bunch. I think, they felt that for the first time, the spotlight had been turned towards them, the seemingly insignificant people. The experiences made the moments in between the images fun. How does it feel to be blending the forms of photo reportage, documentation and street photography in your work? Rs 2,500. Published by Godrej & Boyce. Available at leading bookstores from December 1.